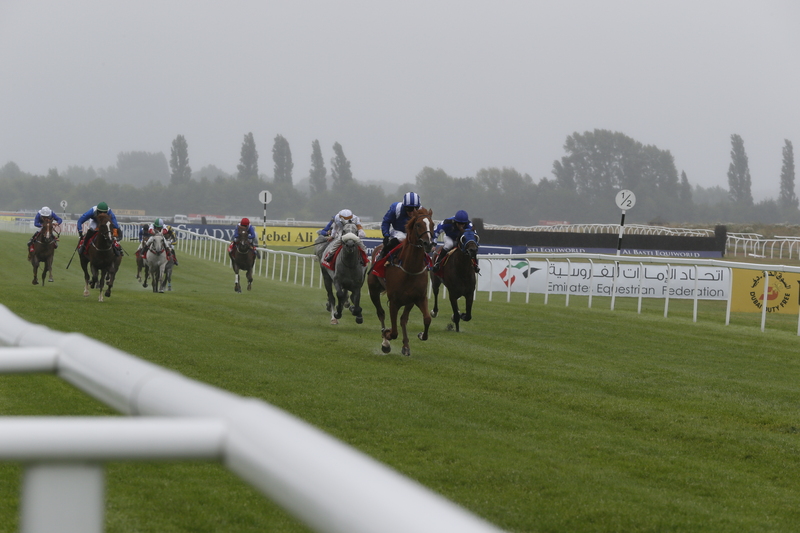 Sheikh Hamdan Bin Rashid Al Maktoum’s Aghsaan wins the Emirates Premier Handicap Stakes at Newbury. THEY call horse racing “The Sport of Kings” and during my time in Britain I have certainly always associated it with Royalty. I ran into Queen Elizabeth II during my first visit to Ascot a few summers ago, and am used to seeing some of the richest people in the world during my trips to race tracks. The sport generates more than £4 billion a year for the UK economy, much of it through betting, and many of the most famous meetings are as much a part of the High Society “season” as Wimbledon or the Henley Regatta. Top hats off, then, to His Highness Sheikh Hamdan bin Rashid Al Maktoum, deputy ruler of Dubai and the Minister of Finance, who is doing so much to democratise the sport. 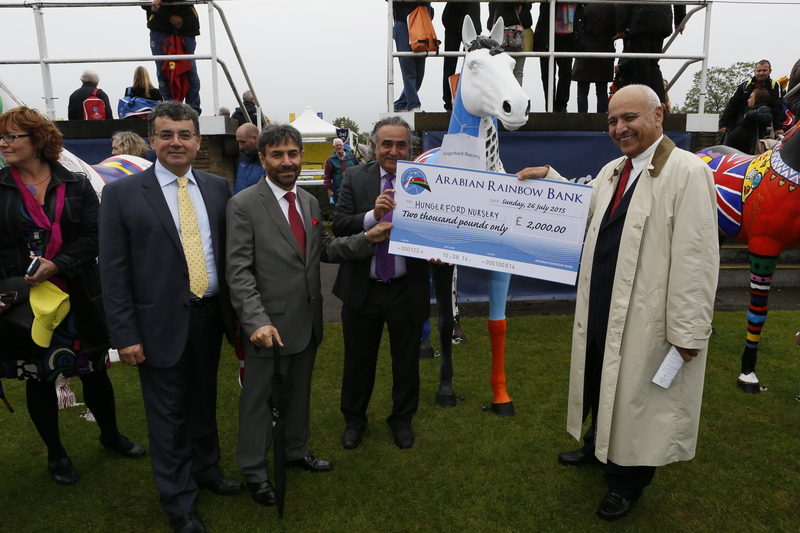 He is the mastermind behind the annual Dubai International Raceday at Newbury, the historic racecourse close to the Berkshire town which has been hosting meetings since 1905. While there are still plenty of wealthy race goers who turn up at Newbury, it was the Sheikh’s intention to get thousands of more modest punters through the door. He has achieved this by not only letting people in for free, but by handing out free “goody bags”, and offering draw prizes including family holidays to Dubai and a Citroën C1 car. 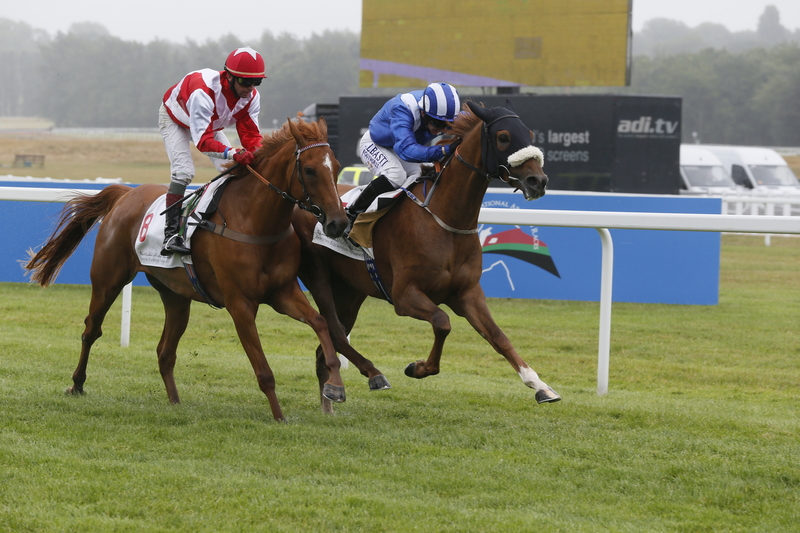 Sheikh Hamdan Bin Rashid Al Maktoum’s Rasaasy wins the Emirates Equestrian Federation International Stakes at Newbury. 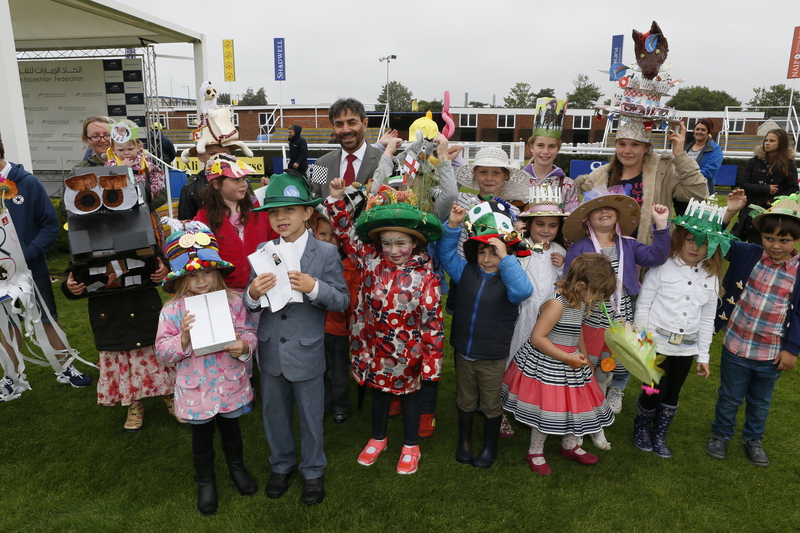 Sartorial elegance is always very important at British race meetings, so there was a prize for the most impressive children’s hat, and best dressed lady. Sixteen local schools competed in the Arabian Rainbow painting competition: one that challenges youngsters to come up with an original “Newbury Races” design using acrylic paints on model horses. It has already earned upwards of £50,000 for West Berkshire schools. “It’s not what you’d normally associate with horse racing at all,” said David Hughes, a father-of-four whom I met at Newbury at the end of July. “You think of it as a rich person’s sport, but this weekend it’s the complete opposite. Wilf and Amelia win the Best Children’s Hat Competition. Despite showers and a brisk wind, an 8000 plus crowd watched eight races with horses from 12 different countries. Organisers said simple Arab values – and especially support for the family – were at the heart of the Sheikh’s generosity. British children could be seen having body art applied to their palms and arms by Henna artists – a practice which is typical throughout the Arab World. Among them were three sisters – Jess, Tilly and Emily Wilshire – who said they would do it again. “Today has been a magical day,” Emily enthused. His Excellency Mirza Al Sayegh hands out Prize to Hungerford Nursery, winners of the Arabian Rainbow Competition. Newbury has had close links with Arab racing since the mid-80s, when the first Dubai International Arabian Race meetings were held there. Jockeys, trainers and all others involved view such meetings as “parties”, as they share the event with all the spectators. 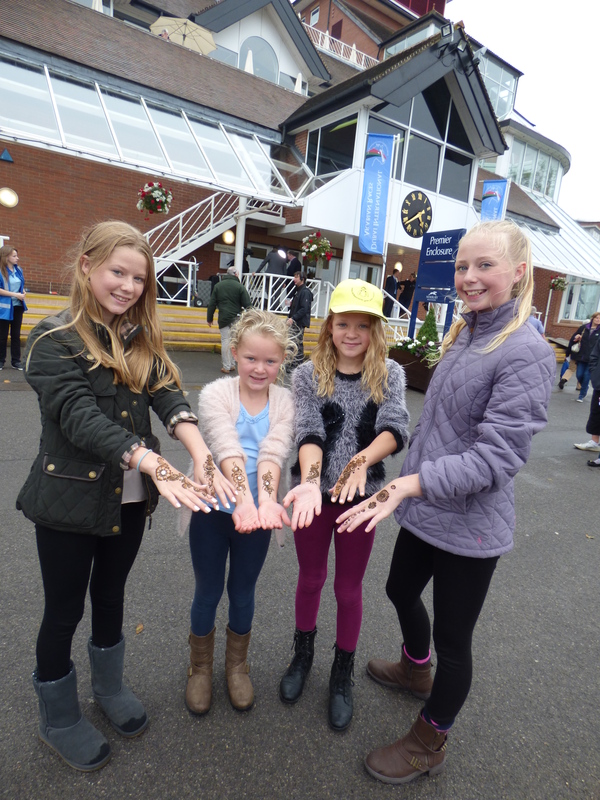 The Wilshire sisters and their friend Ellie McCann enjoy Henna Body Art. Unlike Ascot, it might not provide a chance to see the Queen, but with the best aspects of Arab culture on display, there is no doubt that Newbury is rapidly turning into a must-visit for ordinary racegoers everywhere. Nabila Ramdani is an award-winning French-Algerian journalist, columnist, and broadcaster who specialises in French politics, Islamic affairs and the Arab world.